Get ready for a full day of sightseeing on the 22nd (Thu): meet the residents at National Aquarium, try to win big at Horseshoe Casino, and then admire all the interesting features of Oriole Park at Camden Yards. For where to stay, ratings, more things to do, and tourist information, use the Baltimore online travel planner . Sioux City to Baltimore is an approximately 7.5-hour flight. You can also drive. You'll lose 1 hour traveling from Sioux City to Baltimore due to the time zone difference. Plan for a bit warmer temperatures traveling from Sioux City in November, with highs in Baltimore at 57°F and lows at 43°F. Finish your sightseeing early on the 23rd (Fri) to allow enough time to drive to Ocean City. Start off your visit on the 24th (Sat): take a leisurely stroll along Ocean City Boardwalk, enjoy the sand and surf at Ocean City Beach, and then examine the collection at Ripley's Believe it or Not!. 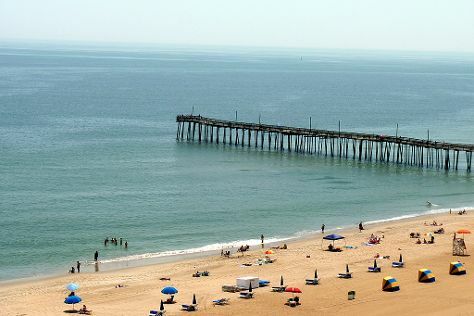 For other places to visit, more things to do, reviews, and other tourist information, refer to the Ocean City trip maker website . Traveling by car from Baltimore to Ocean City takes 3 hours. Alternatively, you can take a bus; or take a shuttle. Expect a daytime high around 57°F in November, and nighttime lows around 39°F. Wrap up your sightseeing on the 24th (Sat) early enough to travel to Jacksonville. Jacksonville is a city in Onslow County, North Carolina, United States. Start off your visit on the 25th (Sun): admire nature's wide array of creatures at Lynwood Park Zoo and then make a trip to Onslow Vietnam Veterans Memorial. To find other places to visit, ratings, where to stay, and tourist information, refer to the Jacksonville trip itinerary planning tool . You can drive from Ocean City to Jacksonville in 6.5 hours. While traveling from Ocean City, expect somewhat warmer days and about the same nights in Jacksonville, ranging from highs of 65°F to lows of 44°F. Wrap up your sightseeing by early afternoon on the 25th (Sun) to allow enough time to travel back home.